BitBose is a next-gen AI-powered ERC20 cryptocurrency which assures fastest and easiest fund transfer and transaction with Lowest & Fairest exchange rate and can be used for various purposes beyond trading. Place, Date: Crypto community honcho Sydney Ifergan has announced about his re- cent joining as a senior advisor in revolutionary AI-powered ERC20 cryptocurrency Bit- Bose. The latest cryptocurrency platform has introduced the most advanced crypto ex- change ever with the promise of asset turnover of $500 billion by 2025. It’s the smartest and fastest of all cryptocurrencies around which is 100% decentralized and assures var- ious uses for users other than simply trading & purchase of goods or services. The BitBose platform has launched its pre-sales on march 4th, 2018 and it will continue till May 31, 2018. The BOSE token (BitBose) price at this stage is $0.25 and users will also receive a 50% bonus till the end of the private sale. BitBose accepts BTC, ETH and XRP payments. Talking about BitBose, Mr. Ifergan defined it as the “Future of Crypto Investment”. Ac- cording to his statements, BitBose is all set to set a benchmark in the scene of crypto exchanges through the provision of a much powerful, secure & credible approach to- wards e-investments. 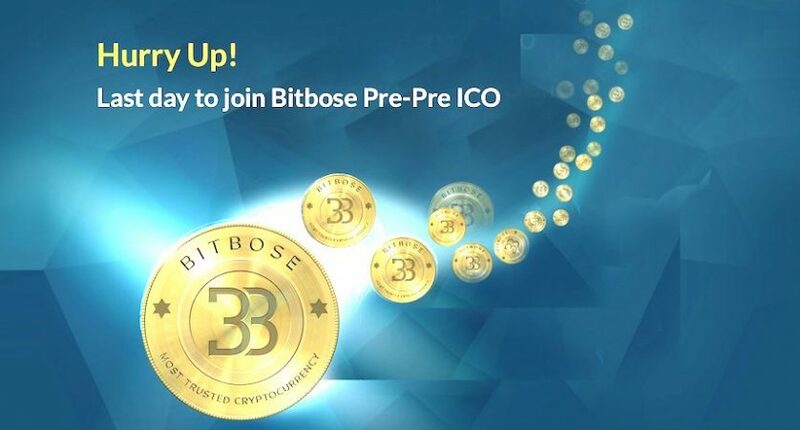 For more information, please visit https://www.bitbose.com/.